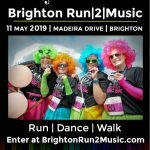 Brighton’s musical charity fun run – the Run2Music – has teamed up with three local charities, the organisers have announced. 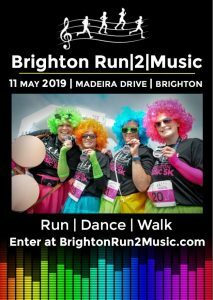 They said: “Brighton Run2Music, Brighton’s most colourful and entertaining running event for 2019, is delighted to announce that Martlets, Rockinghorse and the music charity Rhythmix have signed up as official charity partners for this year’s run. Brighton Run2Music race director John Lunt said: “What makes this event so appealing is the three different distances – 5k, 10k and 21k – and all the entertainment we have on offer before and during the race. Rhythmix chief executive Mark Davyd said: “We are delighted to be partnering with Brighton Run2Music for this year’s event, which coincides with the 20th anniversary of Rhythmix. 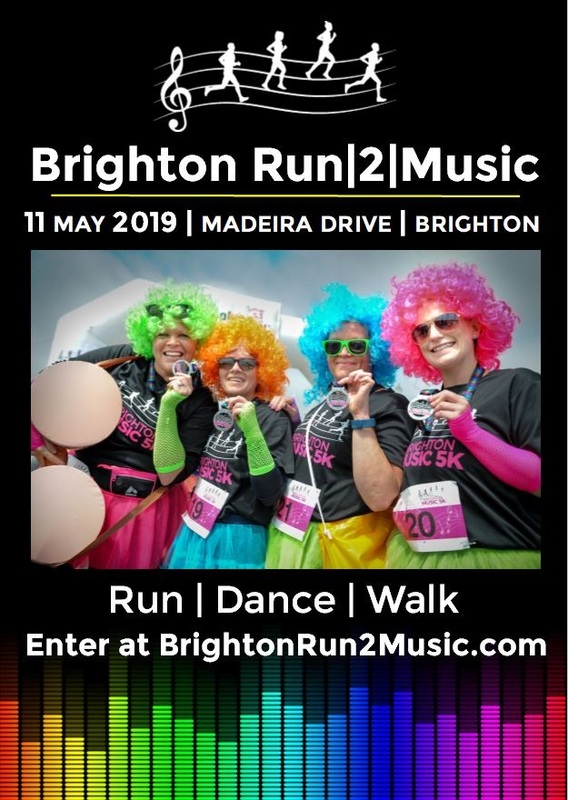 Martlets’ director of income generation Sally Brighton said: “Martlets is delighted to be partnering with Brighton Run2Music in this exciting fundraising venture. “Martlets is at the heart of Brighton and Hove and we hope this partnership will raise vital funds to help us provide life-changing hospice care for the local community. Rockinghorse chief executive Ryan Heal said: “We are delighted to be involved in this year’s Brighton Run2Music event and are looking forward to attending this unique challenge in our city. Brighton Run2Music entries are open now at: www.brightonrun2music.com.